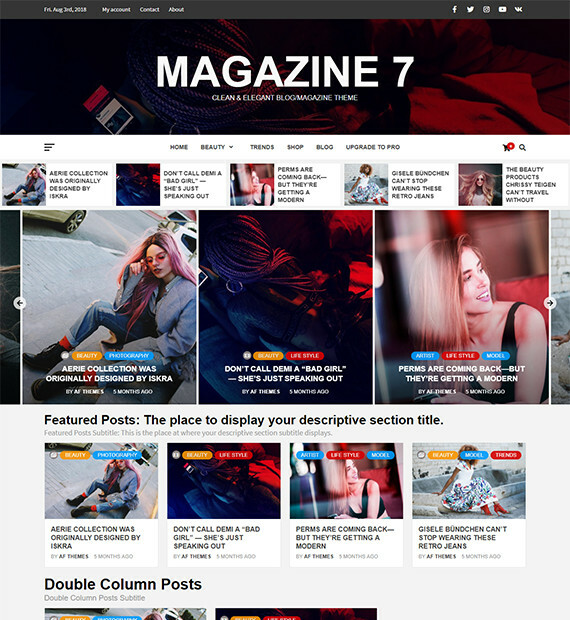 Magazine 7 is a simple, clean and elegant free magazine WordPress theme that is perfect for online magazine as well as blogs. The template is typically designed for web blogs and magazines with an immense research on modern online news portals. This theme is fully responsive that looks beautiful on all the screen sizes from small to large devices. Furthermore, It has WooCommerce plugin compatibility that helps you to do an online business easily. The theme is well optimized that helps to rank your website in the top of search engines. It includes many useful features that require to build an awesome looking website.